BERLIN (Bloomberg) -- As part of its aim to triple U.S. sales in the next seven years, Volkswagen AG plans to expand its portfolio of sport-utility vehicles to gain ground in the U.S. on Toyota Motor Corp. and General Motors Co.
“We will be looking to really grow, particularly in the compact SUV segment,” VW's U.S. chief Jonathan Browning said in a phone interview on Tuesday. “Over time, I think there's also scope for growth in terms of a larger SUV within the portfolio.” he added. VW currently has two SUV models, the full-size Touareg and compact Tiguan. VW sold 20,946 Tiguans in the U.S. in 2010 and 4,713 Touaregs. Carmakers delivered 3.3 million SUVs in the world's second-largest auto market last year. Honda's CR-V model was the most popular, generating sales of 203,714, according to Ivan Drury, an analyst at Edmunds.com. VW aims to triple U.S. sales to 1 million vehicles by 2018, with the Audi luxury unit making up 20 percent of the total, as part of an effort to overtake Toyota as the world's largest automaker. 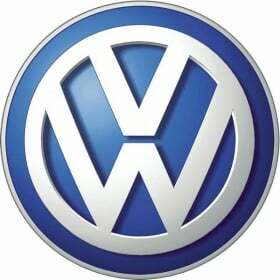 VW will open a factory in Chattanooga, Tennessee, by April and start delivering a new mid-sized sedan built at the plant in the third quarter, Browning said. VW needs more offerings to catch the U.S. volume leaders. VW, including the Audi luxury brand, sold 358,500 vehicles in the U.S. last year, lagging GM's 2.22 million, Ford Motor Co.'s 1.97 million and Toyota's 1.76 million. Browning, a former GM executive, said a new mid-sized sedan, VW's first car built specifically for the U.S., will account for “approximately the same proportion” of future sales as the Jetta compact, the company's best-selling U.S. model. Jetta sales contributed half of the VW brand's 2010 deliveries. VW will unveil the sedan in Detroit on Jan. 9. Browning, who joined VW last June, took over as president and CEO of Volkswagen Group of America on Oct. 1. His predecessor Stefan Jacoby left to become CEO of Volvo Cars, the Swedish automaker owned by China's Zhejiang Geely Holding Group Co.